This past year I’ve seen a drastic increase in the amount of spam that was hitting my WordPress sites. The spam plugin that I had installed, Akismet, while it did an OK job of finding and catching spam, wasn’t enough. Not only did I find that it was creating quite a few false positives (including sending many of my own comments on other sites to spam), but because of the way it operates it was still allowing spammers to bog my sites down and cause them to come crashing down from time to time. Because of the site slowdowns I started looking around for some solutions to my problem – including finding a way to stop the spam request before they even started. Today’s post will look at a variety of solutions that I’ve examined – and a few that I’ve used – in order to get rid of spam comments on my WordPress sites. The first and easiest way that you can combat spam comments and trackbacks on your blog is to install spam nuking plugins. Here’s a list of a few that I’ve found and had recommended to me. Akismet: While I’ve had issues with Akismet having false positives on a quite a few comments (in other words, good comments being classified as spam), for the most part it does a pretty decent job of catching the spam and sending it to the spam box. Growmap Anti Spambot Plugin: I use Growmap in conjunction with Akismet to drastically cut down on the amount of spam I receive. The way this plugin works is that it puts in a checkbox below the comment box, asking the user to check it in order to comment. Most spam-bots will not complete that behavior, and therefore can’t comment. After installing this it cut down on my spam substantially. Spam Free WordPress: I have a blogging colleague who uses this plugin and swears by it. It claims to block 100% of automated spam. I’m not sure about that, but some people like it. Conditional Captcha: The plugin creates a captcha that the user needs to enter in order to comment. Blocks most spam, although it may still allow some comments into the database before being deleted – which means there still may be some load on your server. I have avoided captcha to some extent because I don’t like entering them on other sites myself. NoSpamX: Another friend uses this plugin and says it has basically dropped the number of spam to zero on his blog. Blocks automated spam-bots and allows blacklists. Quiz: This plugin quizzes commenters before they can complete the comment. I don’t use this one either because i prefer to keep it as simple as possible for commenters. I currently only use two of the plugins from the list above – Akismet and Growmap. The rest are still decent plugins I’ve had recommended to me by satisfied bloggers. These other commenting systems do have their own pros and cons that should be researched if you plan on using them, but for the most part they are pretty effective at combating spam. While most the plugins that I use from the above list did help in blocking a lot of the spam that was coming through, I was still experiencing issues with spam-bots hitting my server constantly, and causing slowdowns on my site. In other words their spam comments weren’t getting through, but they were still hitting my server and causing severe loads on my server. A spam comment and a real comment will have the same load on your server essentially. At times the spam hitting my server was so bad that it would cause my site to go down altogether. After doing some research I found the solution to my problem on the WordPress.org site on a post called “Combating Comment Spam/Denying Access“. The article goes over a variety of ways that you can programatically block spammers from your site. First, they go over how to deny access to spammers by blocking their IP addresses from accessing your site. It can be effective except for the fact that spammers are often on changing IP addresses. Doesn’t hurt to try and block the worst offenders though, or certain countries if they are especially known for spammers. Add this to your .htaccess to block spammers from certain IP addresses, or IP ranges. For more help on setting this up, see this post. Another thing that spammers will exploit is your trackbacks on your site. Most bloggers will recognize trackbacks at the bottom of a post where links to that particular post will show up. They show readers who has linked to your post, along with a link to the referrer’s site. Spammers will send out bots to send fake trackbacks with links back to their spammy sites. You can set your .htaccess file to block known trackback spam bots. To just get rid of those problems altogether I removed trackbacks from my main sites completely. This is the one that fixed my spam problem on my site in dramatic fashion. Before I instituted this fix in my .htaccess file my site was going down a couple of times every day because of the major loads spam-bots were putting on my server. Since the fix was made it rarely ever has problems anymore because of spam-bots. What this fix does is to find illegitimate comments by determining if a comment has gone through a certain .php page. When your readers comment for example, the wp-comments-post.php file is accessed, processes the text, and creates the comment. The user’s browser will send a “referral” line about this. When a spam-bot comes in, it hits the file directly and usually does not leave a referrer. This means that we can detect those no-referrer posts and block them using the .htaccess file. If you’re not familiar with .htaccess files or Apache directives, you may want to get some help on this. Add this to your .htaccess file. NOTE: In the fourth line of the code above, make sure to change yourdomain.com to your own domain name, without the www, or any prefix on the front. What this code in your .htaccess file does is deflect the spam-bot back on itself so it never hits your server. The code detects when a post is being made, checks if the comment is being made on “wp-comments-post.php” with a referrer of your domain. If there is no referrer it sends the spam-bot back to the originating server’s (the spam-bot’s) IP address. For more detailed instructions on how to set this up in your own .htaccess file, head on over to the post at WordPress.org. Spam is a troubling issue for bloggers. It can devalue your site, slow down your server and even bring it crashing down because of the resources it demands. The good news is, there are solutions. For me the solution was a combination of a couple of WordPress plugins, as well some code in my .htaccess file. The code in my .htaccess file was especially helpful because it stopped the spammers in their tracks, before they could even get to my server to start their nasty business. My suggestion is to try something similar. Install one or two plugins, and put the .htaccess rules in place. 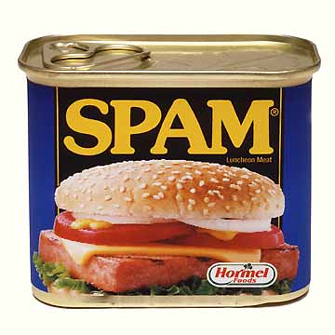 My experience has shown that this should be enough to allow you to live a spam free existence. Good luck! Have your own trick, tips or plugins to help combat spam comments and trackbacks on your blog? Tell us about them in the comments! A while back I wrote a post on this site talking about how important it was to backup your WordPress site on a regular basis. Why should you be backing up your site on a regular basis? There are a variety of reasons. Your site could get hacked, you could have an update of a plugin or WordPress go wrong, or you could have a host “accidentally” cancel your account. All of these things can be catastrophic if you don’t have a backup of your database and site files. The problem is setting up regular backups to run isn’t always an easy process, especially if you’re not very tech-oriented. A lot of the plugins that are supposed to make backing up easy either don’t work very well, don’t work at all, or take a masters degree in computer science to figure out how to setup correctly. I had been using a backup plugin for the last 3-4 years that worked OK, but it had problems from time to time. There were times that it would just stop firing and backups would stop happening. I had the backups being emailed to my Gmail account as well, and sometimes they would just stop sending when the file size was too large. That backup solution also only backed up the database, the site files I had to manually back up on a regular basis, and since it was a manual process it tended not to happen as often as it should. A few weeks ago I was talking to a blogging colleague, Tom over at CanadianFinanceBlog.com, and I asked him what he was using to backup his sites. Since he runs multiple sites his backup solution has to work well, or else he’d be in trouble. He told me he was using Backup Buddy from PluginBuddy.com as his main backup plugin. It’ s a premium plugin, but there’s a reason it costs money. It works, and it works well. On Tom’s advice I went ahead and bought a developer’s version of the plugin since I needed multiple licenses for all of my sites, and installed the plugin that same day on 11 sites. I’m glad I bought the plugin because it has made the backup process so much easier and pain free than it was before. Let’s look at some of the things it lets you do. 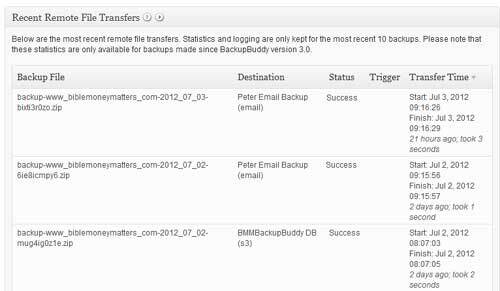 The main reason I’m using Backup Buddy is because it makes it simple and easy to do regular backups of your site. How easy? 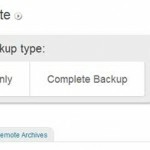 After setting up your backup locations in initial setup, all you need to do to backup is hit a button to backup the database, or another one to do a full backup of the entire site. Doing a full site backup was tough for me to do previously because some of my sites have large databases, and tons of content to backup. They were just too large and other plugins were choking when scheduled backups happen. Backup Buddy had no problems with it and actually completed a backup pretty quickly. It can store a backup locally in the WordPress, or remotely archive your files. One key thing to have with a backup plugin is scheduled backups. With Backup Buddy you can schedule backups for your whole site, or for database only. I schedule regular nightly database backups, and then a weekly full site backup. You can set the backups to happen at whatever interval you want it to be at, daily, monthly, twice a month, hourly, whatever. You can also set how many backups you want the plugin to save so that you don’t run out of space. Another great feature of the plugin is that it will allow you to backup remotely with your Amazon S3 account, Dropbox, an FTP site of your choice or by sending a backup to an email address. I’ve used it with my Amazon S3 account that I was already using for my CDN, and it has so far worked seamlessly. You just enter your login credentials, where to back it up at the service and set it as a backup location. Then when you’re setting up a scheduled or manual backup, you can choose that remote location as the backup location. I’ve also got email backups setup to send to my Gmail account where I archive backups for a certain time. You can check your dashboard to make sure the updates went through. Another great feature of the plugin is that it will allow you to migrate your site to another server, or if you’ve had problems with your site, restore it to the same server. Restoring from a backup is a super simple process. All you have to do is grab their import php file, put it in the same directory as your full site backup, and then browse the url of the import file, and it will walk you through restoring the site. Simple! I know of others who have used this plugin when buying sites from other people. They install the plugin on the remote server, do a backup, and then restore/migrate the site to their own server. Finally the plugin does a malware scan of your site for you using Sucuri Security. You just go to the malware scan link, and it will scan your site for malware, tell you if your site is blacklisted. Very helpful, especially if you think your site may have been compromised. And if it is compromised? Just go to one of your previous sitebackups to clean things up! Piece of cake! I think Backup Buddy is one of my new favorite plugins for WordPress users, I’m not sure what I did without it! It gives you a simple and easy to use backup and site restoration solution that most likely save you if you ever have your site hacked, files corrupted or otherwise lose your site files. It’s well worth the small cost. I’d highly recommend it to anyone who wants to ensure the safety of their site files and database data. There has been some rumbling for a while that Google would soon be releasing their own social voting tool called the Google +1 button. If you’ve been around blogs for any length of time you’ve seen these social voting and sharing buttons or links – asking you to vote for or share a post or page to make it more popular on Digg, Reddit, Stumbleupon, Twitter or Facebook. Google wanted to get in on the action because they feel that they can use the voting data to make search results more relevant and useful for users, as well as allowing the voting data to affect the results you get based on what your friends have voted up. In other words, if you’re a blogger – you may want to add a +1 button because it can affect your site positively in the rankings if you do have one. Just how much is up for debate. This is just one of many signals Google may use to determine a page’s relevance and ranking, and we’re constantly tweaking and improving our algorithm to improve overall search quality. For +1’s, as with any new ranking signal, we’ll be starting carefully and learning how those signals affect search quality. So while we don’t k now how much of a boost it will give you, any boost means you should probably give it a look see. Adding a Google +1 button to your site really shouldn’t be very difficult. It basically comes down to adding two small pieces of code to your site. That’s pretty much it. You can of course change where you have the button showing up, or how it is styled (float left vs. right/etc), but those basics should allow you to get it up and running. You can see it implemented on this page down below the post. There are also several styles of buttons that you can use, anything from a small button, to a tall button with click count. For full details on the +1 button, and detail on how to customize, head on over to the developers page here. One thing that I constantly struggle with as a webmaster is adding new content, functionality and advertisers to my sites without compromising the user experience, or slowing down the load time. I’ll be the first to admit that some of my sites are currently a bit too slow on the load time, and it’s something that needs to be addressed, especially given the fact that Google now seems to be using your page’s speed as one factor in determining search rankings. It’s not just search rankings, however, a slow loading site will frustrate your users and give your site a higher bounce rate, lower conversions and less income. 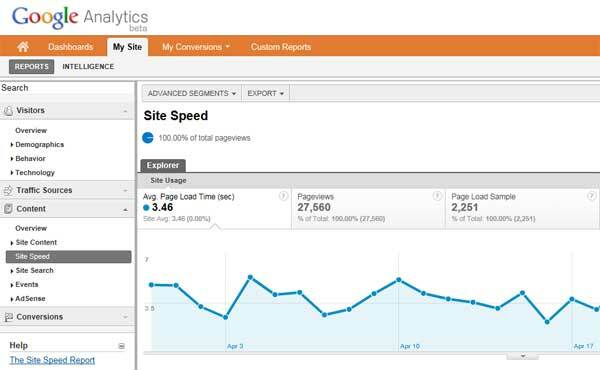 Ok, so we know that site speed is an important factor that needs to be looked at. There are a variety of browser plugins and sites that will help you to determine how fast your pages are loading, but now Google has released a new tool that can be used to help diagnosing problem pages, the effects slow page loads can have on traffic and conversions, and more. Where will you find the tool? In Google Analytics. Content—which landing pages are slowest? Traffic sources—which campaigns correspond to faster page loads overall? Visitor—how does latency compare by visitor type or geographic region? Technology—does browser, operating system or screen resolution impact latency metrics? Once you add that extra line, Analytics should start tracking page load times, and it will be available to you in custom reports builder as well so that you can run it against a variety of different segments. Let the fun begin! 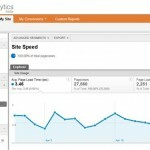 Site speed is becoming more and more important as Google changes their algorithms, and stresses it’s importance. They’ve added page load times to their webmaster tools, as well as adding new tools to Analytics, creating browser plugins/etc. Everything they’re doing right now is encouraging webmasters to improve load times… or else. If you want your site to stay near the top of the search rankings, you’d be well advised to start seeing what you can do to improve your page load times as well.